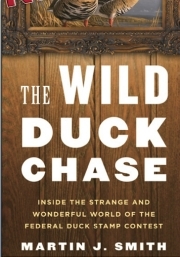 The Wild Duck Chase takes readers into the world of competitive duck painting as it played out during the 2010 Federal Duck Stamp Contest. 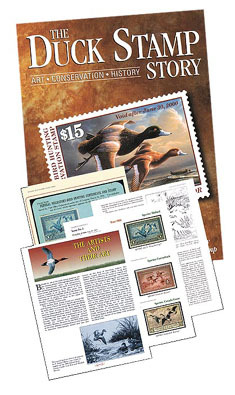 As Smith chronicles in his revealing narrative, within the microcosm of the duck stamp contest are intense ideological and cultural clashes between the mostly rural hunters who buy the stamps and the suburban and urban birders and conservationists who decry the hunting of waterfowl. At issue is preserving the habitat of ducks and waterfowl for all to enjoy. The competition also fuels dynamic tensions between competitors and judges, and among the invariably ambitious, sometimes obsessive, and often eccentric artists, including Minnesota's three fabled Hautman brothers, the "New York Yankees" of competitive duck painting. Smith takes readers down an arcane and uniquely American rabbit hole into a wonderland of talent, ego, art, controversy, scandal, big money, and migratory waterfowl. Handbook of Fish and Game StampsOUT OF PRINT! - by E.L. Vanderford ..... $175.00 - Very Limited Supply! 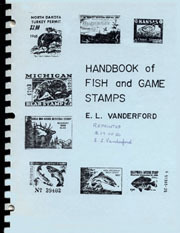 Over 200 pages, all official fish & game stamps through the early 70s. Signed and numbered by E.L. Vanderford. 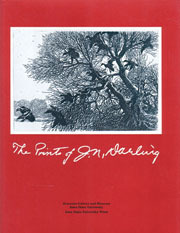 Darling is as well known for his work with the duck stamp program as he is for his two Pulitzer Prizes. In 1984, the Brunnier Gallery and Museum at Iowa State University mounted a comprehensive exhibit of Darling's prints, over 80 works of art. This Iowa State University Press edition catalogue of the exhibit has been updated and expanded by the addition of other works by Darling identified since the exhibit. Hardcover, 126 pages with detailed notes. "A rich, vivid biography of an enriching, vivid American. 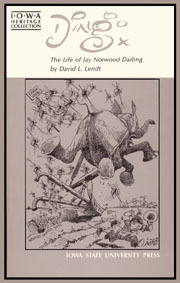 Darling was an individual who loved the American earth as few have loved it, and fortunately Lendt has caught the essence of this unusual man." -Stewart L. Udall 204 pages. Softcover. Includes 58 pages of photos and cartoons.